﻿ Villa Travelista Travel Lodge, Palawan | FROM $11 - SAVE ON AGODA! "The hotel staffs, especially the owner, were very nice, acco..."
Have a question for Villa Travelista Travel Lodge? 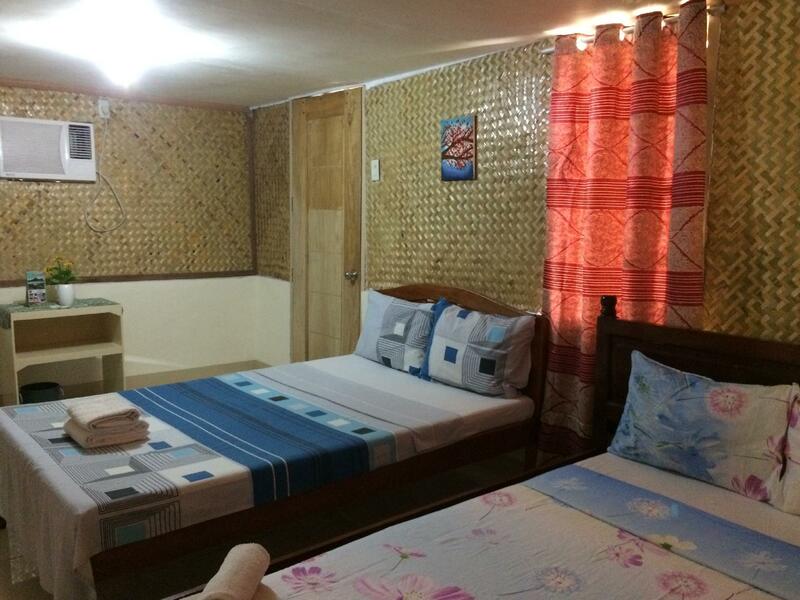 "We stayed here because the following day we will go to el nido"
"The place is really clean." "The comfort room is also clean." 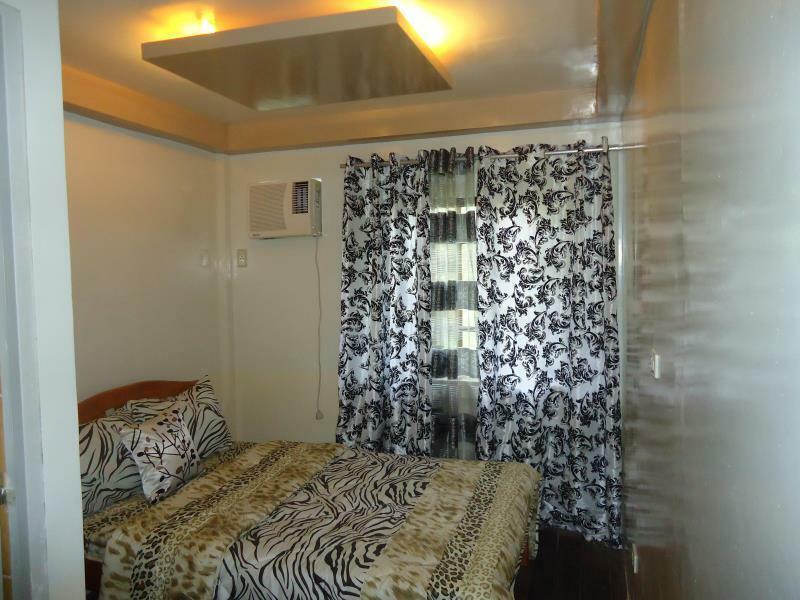 "The owner Ms. Amy very accommodating." Well-positioned in Puerto Princesa, Villa Travelista Travel Lodge is the ideal point of departure for your excursions in Palawan. The city center is merely 1 Km away and the airport can be reached within 10 minutes. With its convenient location, the hotel offers easy access to the city's must-see destinations. 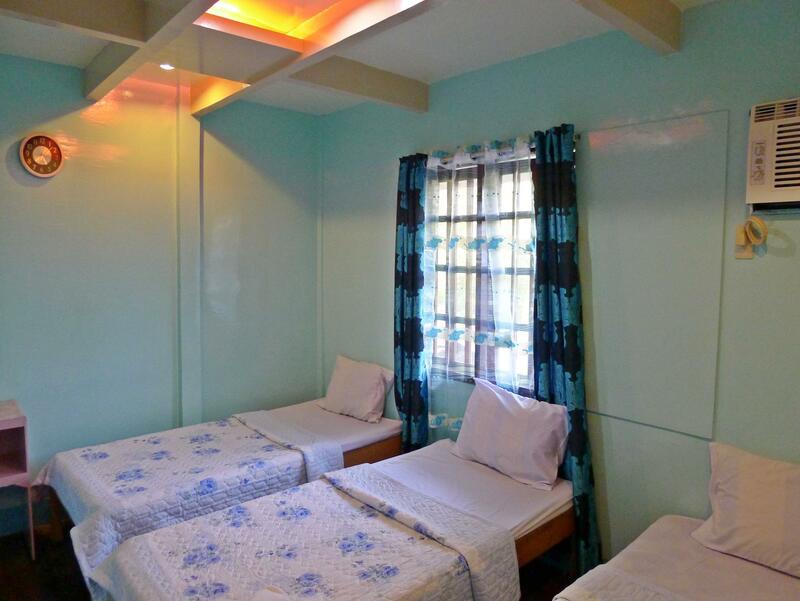 Villa Travelista Travel Lodge also offers many facilities to enrich your stay in Palawan. For the comfort and convenience of guests, the hotel offers free Wi-Fi in all rooms, luggage storage, Wi-Fi in public areas, car park, room service. Experience high quality room facilities during your stay here. Some rooms include television LCD/plasma screen, internet access – wireless, internet access – wireless (complimentary), non smoking rooms, air conditioning, provided to help guests recharge after a long day. The complete list of recreational facilities is available at the hotel, including massage, garden. Discover an engaging blend of professional service and a wide array of features at Villa Travelista Travel Lodge. "The location was great for a 1 night stay before flying out." 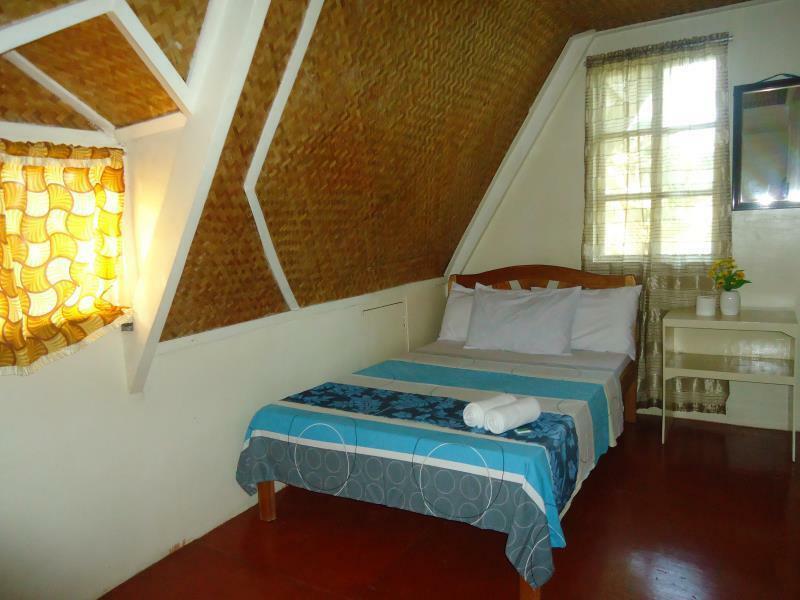 Good value for money,both for the cheap room and the nipa bamboo room. Nice family is running the place. Moisture smell in the cheap room. Not easy to find it as mentioned. All together, we recommend it highly. -Had coffee for us in the morning -Stored our lugagge for an afternoon after we checked out -Staff is friendly -Small rooms that are a bit humid, standard fan room photo looks different than photo. -Can book tours here -Not in city centre but close to airport with many tricycles availabele in the area. we had the most lovely time staying here. Amy the owner was so lovely and welcoming and helped us with booking all our trips and bus to Port Barton. Every morning she would make us coffee and it was always a pleasure chatting to her and her family. They also have 2 dogs and a puppy which are adorable too! I'd defintely recommend this place to anyone as it was such a nice place and such a bargain! The place is really clean. Given that the villas are nippa huts, there are no bugs found. The comfort room is also clean. It is also airconditioned so you get to relax even more. Aside from it, the place is quiet even though it is just around the city. Airport is just 10-15 min away. Other than that, Tita Amy, her husband and kids are so kind and hospitable. Simplistic style with friendly host. Was looking for a cheap play to stay the night after a late flight to PP and an early trip to PPUR and El Nido the following day. The rooms were tiny but clean and bare necessities were provided. There were only a handful of rooms in the 'house' and the walls were a bit thin. Set realistic expectations for the stay and for the price. The owners were wonderful, they even let us leave our bags in our room no charge while we went to PPUR and we waited for our El Nido shuttle in their outdoor patio area while they spent a few minutes chatting with us. Great value, good place to stay. A few minutes ride to airport and food but NOTE that tricycles don't usually go this way unless they are dropping off someone. The hotel staffs, especially the owner, were very nice, accommodating and helpful. The place was also good since you can really have a privacy and it's relatively quiet and peaceful. The only thing that I didn't like is that they do not have a generator for back-up in case of power interruption. But in general, I can highly recommend this place and give a two thumbs up. The group found a home away from home. Though, we spent most of our times outside touring Puerto Princesa, it is difficult not to take notice how hospitable the people in Villa Travelista are. They are very comfortable to talk and to be with, and thus our stay. They provided us more than a place to sleep and rest. Thanks. We had a very good stay here. The owners are really nice and helpful. The place is not far from a mall and shops and still in a quiet area. The room is clean, standard but with all you need (you can pay extra for the aircon). Just be careful as the location on google map is not accurate, you need to continu east on mabini street until you see the a giant mango tree and the sign on the fence. 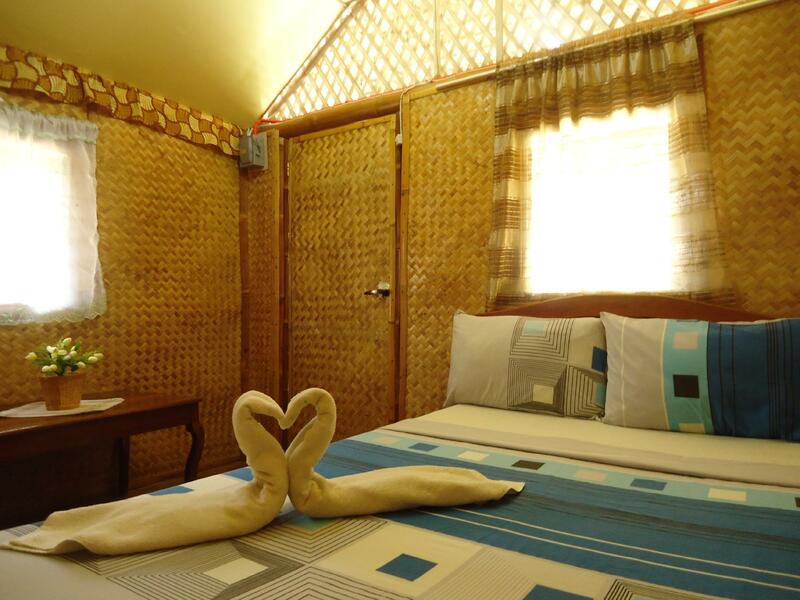 Anyone who needs a quiet accommodation for a night or two before departing to El Nido...good value for money!!! Staff at this villa were phenomenal, they used my name often in interactions, provided tailored restaurant advice (great vegetarian restaurant nearby) and I was happy with the room and fast wifi. The location was great for a 1 night stay before flying out. Close to the airport and SM Mall. The staff were lovely as well. Owner and staff very friendly. 15 mins to airport. Stayed in new bunaglows - perfect! GreatAC. Good atmosphere. Good shower. Would recommend a stay here. Owner kindly gave us coffee on a morning when we had early exits and got us at 5am to wave us goodbye. The price is good for the place and the location although the facility needs to have some maintenance especially the restroom (it is clean but not fragrant and the dipper is broken, the shower has no place to hang to, and nowhere to hang your clothes when bathing). The room is good and clean though. This place is moving to a new location, with cottages instead of the attic rooms. We were fortunate enough to be offered a night in a new cottage, or kubu. I thought it was a very atmospheric and cozy place, although the grounds are still a bit of a construction site. I imagine it will be fantastic when finished! The place is quite hidden from the main downtown, so it's quite when you wanna get some rest. The room was clean but too small for a deluxe bed. Aircon and electicity works well but the water is BIG NO, shower didn't work during my stay but you still get water from the tap. The family is A BIG PLUS since they're friendly and really accommodating. We arrived midnight from our travel in El Nido but instead of charging us, they allowed us to check-in immediately so we got an additional night stay for free. The room was also clean and well-maintained, but I think the best part about staying in Villa Travelista are the people. They're very accommodating, it really felt like I was talking to my relatives. Whether it was asking us about our trip or telling us to take care of ourselves. I think it stems from how they run the hotel at their own home. The stay felt more personal rather than the standard hotel stay that maybe better but feels manufactured and impersonal. Overall, a great place that I will surely go to again. HORRIBLE. First day after a long hot flight, checked in NO ELECTRICITY , NO AIRCON. Hot and muggy, water was tricking, toilet not flushing. Went to the mall instead of resting. No water pressure. Need to get really close to the wall to take a shower then it will stop at the midst of shower. The aircon filter was totally clogged with lint and dust, it looks like it was never cleaned. Did not stay the next day, Stayed in another hotel. It should not be on the agoda list cause it's not fit for staying. Pictures in the site does not match the facility. I will never stay there again nor recommend it till it's properly maintained.